Robots are slowly taking over the world, in a good way (for now...). Grab a tag and do whatever it is you do, the Soloshot base will track your every move and film it. Seriously nifty (and kind of creepy) jump into the action and not have to worry about who is going to film you and your friends acting a fool without having to ask the super annoying, "DID YOU GET THAT??!!" A SoloShot base and tag will run you $400. Check out their website for more info. A lot of people use this function to turn abbreviations or acronyms into full phrases. For example you can save "OMW" and when you type those three letters, "On My Way" will be typed out. The letters don't have to correspond so nicely with the phrase you designate. In fact, it doesn't even have to be a phrase. I use the keyboard shortcuts for my email addresses. I designated "QAZ" to represent "eli.tarin@yahoo.com" for a quick and easy shortcut when needing to type in my email address (which is all the freakin' time!). Now you know ... and knowing is half the battle. Friends all around, drinks in hand, great song after great song, laughs and smiles washing over all the world's worries. These are the moments you will always look back on later in life. But how is it that so many good songs are playing, one right after another. Is it possible that this is the world's greatest playlist right now? Nothing THAT perfect is coincidence, it's planned and put together. SoundRobin is an awesome idea for an app that allows a crowd sourced democratic process within an event to construct and curate an amazing playlist to keep the moment going for as long as legally allowed by your neighbors. Two friends of mine told me about the idea and I fell in love, they joined forces and are now in the testing stages of the build. If you'd like to sign up to get early access or to get more info on SoundRobin, check out their website. I'm curious to see the creative ways people will utilize democratic playlists. Imagine having a get together with friend's music in two different cities at the exact same time? For example you're in San Antonio having a New Years Eve party with close friends while another group of ya'lls friends are also having a New Years Eve party in let's say Houston, imagine having both groups of close friend in separate parties celebrating the same event with the same music(all while voting on it together). Overall, very cool idea with some interesting possibilities. Who carries around a 100 dollar bill? I guess you will if you buy this case? While still a bit odd looking and somewhat bulky, this wallet-case is on the right track. My personal idea on this would be a mix between the lower backside magnetic wallet of this case, the Senna wallet-case's more wallet like style and the sleekness of the Hex leather wallet. The Quickdraw wallet case is definitely a step in the right direction for me, but it's just not quite there yet. I'm super picky, I know. Basically, what I'm looking for is sleek case with a wallet function on the back that allows me to store a couple credit/debit cards, my ID, and some cash while allowing complete access to my camera without having to move anything out of the way. I'm not a big fan of the front side wallet cases(like the Senna wallet), it just doesn't seem practical to have to have a wallet flapping when you try to talk on it or actually use your touch screen. If they could make it to where it's permanent home was located on the back side via magnets and had a lower top part so as to not get in the way of the camera and flash I'd be completely sold. Anyway, the Quickdraw is available for $26 via their website if anybody is interested. It's a nice looking concept at a good price, just not my cup of tea. Have a GoPro? Me either... oh wait you said yes? Dang it, I think I might be the only person without one at this point haha. If you've ever gotten your hands on one, you understand how amazingly versatile these little suckers are. I love shooting film on my iPhone, but there are a few situations where I just simply wouldn't put my phone in. 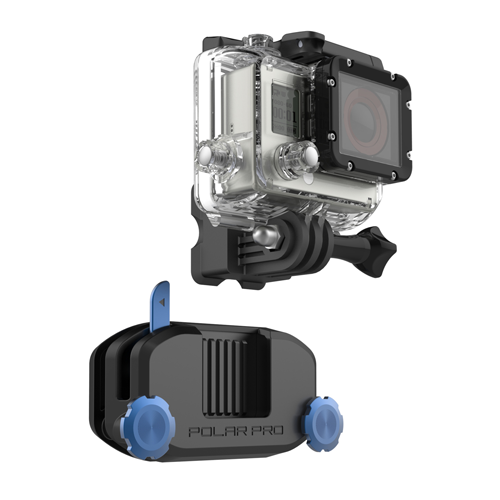 I feel like this little mount right here would be something GoPro themselves would eventually drop, but in the meantime Polar Pro Filters has decided to make it. The Strap mount is exactly what it sounds like, a mount for a strap. Just about any strap you may have on your body(back pack, camelbak, life jacket, et cetera). I love film, I love taking and making videos, and I especially love using my phone to take and make these films. I am in no means a Pro, but I like to take production at least a little seriously. It feels great to capture moments and it feels just as great to create moments for others(clients, family, friends, etc.). In furthering my attempts of making videos that I'd like to watch, I try to find tools to help. Lenses and tripod mounts have really added an extra level to my phone's ability to capture, but lately I feel like I've started outgrowing my current mount situation(actually it's kind of the size of my mobile that has outgrown my current situation, lol). This rig has definitely caught my eye. The Beastgrip Pro is an adjustable rig that offers some nice versatility in attachments(lenses, tripod mount, mics, lights) and a nice grip to hold the device. The company is currently in the Kickstarter phase and if you're into into this type of thing, I definitely recommend giving it a look. The AppleTV is an awesome little piece of equipment considering what it allows you to do. It's sleek and small. The remote is just as sleek and small, unfortunately that makes it CRAZY easy to lose one. So, you've lost your remote... now what? Luckily, Apple thought ahead. The AppleTV has a remote learning function onboard and it's ridiculously simple to set up. In other words, you can use your TV remote(or DVD, Bluray, etc) as your AppleTV remote. It takes a total of about four minutes to run through the prompts and you're done. On your AppleTV, go to the settings app. Select General, then Remotes, followed by Learn Remote. (Settings > General > Remotes > Learn Remotes) The prompts will ask you to press a button on your remote to represent the selected button on screen. The AppleTV remote has the directional up, down, left, right, select, back, and play/pause buttons. You'll be able to assign all of these except for the play/pause button. Here's the thing, you can select any button to represent the selected function (as in you can have the AppleTV learn that your TV remote's volume up button is the "left" directional button, so choose wisely). Personally, I just chose the directional buttons on my TV remote to represent the same in the AppleTV (with the TV's return button being the back button). "But dude... I lost my remote. How the hell am I supposed to get through the menus??" Well if you don't have the Remote app on your iDevice, then go download it now. Once downloaded, use it to navigate the menu until your new TV, DVD, Cable Box remote is learned in your nifty AppleTV. Hate having all those damn apps on your screen that you've probably never even opened? On your AppleTV remote, hold down the select button to make that app "wiggle" (just like on your iDevice). Once it's wiggling, you can press the Play/Pause button to hide it from the main screen. Also - once you get an app to "wiggle," you can move it around in the same way you can move an app on your iDevice. Takin' it back to the old school. Trapper Keepers bring back so many memories of a time before social networks, tweets, and taking photos of what we ate. The times of Marty Mcfly and Ninja Turtle movies that you could actually watch more than once. Well, Mead has decided to update their concept and bring some nostalgia to your electronic life. This plastic flashback fits most 7 to 8 inch tablets, the only thing missing is the velcro(it seems they've replaced it with a magnetic strip). Now if only they'd make some of these designs available, so gross(except for the Back to the Future one, I'd buy that one). "If you do, I'll let you carry my books..." Wow, she's like a jedi. I see what you did there girl. Not gonna lie, I had no idea that the folders were called Trappers and that's why it was called a Trapper Keeper. Makes so much sense now, haha. I don't throw the term genius around very often (who am I kidding, I do it all the time), but this thing right here is absolutely GENIUS. The Wundershine Frame has a built-in ink-less printer and rollers that allow you to conveniently flip out photos in your frame, updating them based on the photo queue you set up. No need to open up the frame, cut some tape, line up the photo, hang it back up only to notice that you got a tiny eye lash stuck between the mat/glass and start all over(Nobody? Just me? Don't judge me). We live in a different time now, no longer are photos shown off in the real world. Our photos are lost in our digital instagram and facebook walls for people to like and comment on. Who really prints out photos anymore? That's one of the many reasons why I like this invention so much. Just one more way to make it easier to put your art on your wall. Gift this to your mom and update it remotely with photos of you, your family, her grandkids. It really is a great idea. I'm aware that it's not for everyone, but it definitely has a market. The Makerframe runs $180 (kind of steep but COME ON, it's an ink-less wifi connected printer inside of a freaking PHOTO FRAME). 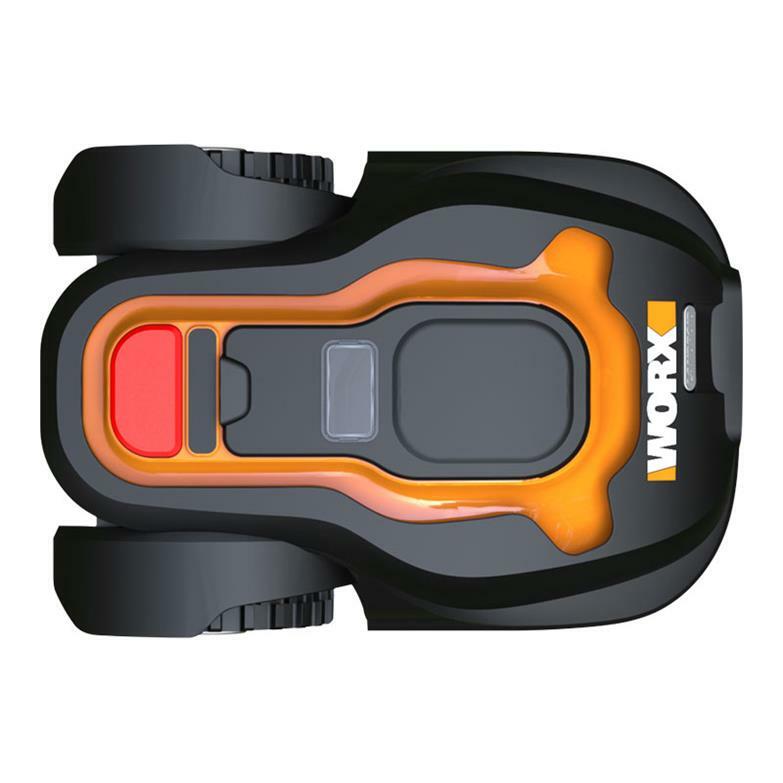 The company is also developing what they call their Reframe ($60), which is the rolling frame system minus the printer. Aight, this might just be on my want list. The tiny cable on your keyring function alone is pretty nice on it's own. Add to that the emergency charging via 9volt battery function, mini flashlight, mobile phone stand, and a slot for a micro usb card and this little guy really does start living up to it's name. It's currently funding it's way through indiegogo. Click on the link and if you dig it, pick one up or support them with a buck or two. I'm really diggin' the trend of these types of items getting smaller and adding more and more functions. My ultimate hope is that one day soon, somebody can figure out a way to make a cable that can pull energy from one device onto another. How dope would that be?? **Update. Apparently the device to device charger already tried it's luck on indiegogo. It was called ChargeBite. It looks like it only worked with 30 Pin devices (iPhone 4S and lower), hopefully someone will try their hand at a lightning connector version. Get paid, fast. If it wasn't easy enough to get paid/get money from one person/place to another via Square and SquareCash, now there's simply no excuse. Set up your $CashTag and send people to your designated page so they can securely pay you for whatever it is that you do. Add it to your business cards, your artwork, tweet it out, put it on posters, etc. Have something you're raising funds for? Set up a $CashTag and let people help you raise money for your org, school, club, or whatever it may be. Square charges 1.5% on business type transactions but friend to friend is always free. If I want to have somebody pay me for something, from now on I'll just direct them to cash.me/$oneseven3 and they can pay up, donate, etc. Starting today, you'll see a "Help Support" button on the right column that links to my $CashTag account. Like what you've been reading? Show your support with a quick donation. Thanks in advance. For those not very familiar with Square, it's the company that made it extremely easy to accept credit cards via your mobile device. You've probably seen their little Square devices on top/bottom of phones at local markets and at events(even Girl Scouts use them now). Square took things a step further and developed SquareCash, very simple person to person money exchange. Anytime my friends and I go out to dinner and need to split up our check, one of us will pay the tab and everyone just pays their part via SquareCash. When one of my friends buys tickets for a movie, the other just pays him via SquareCash. Square takes that designated amount of money out of your account and deposits it in theirs. Money transfer, fast! Think of it like Western Union for the 21st century. Download the app and give it a whirl, you won't be disappointed. Well now THAT'S a pretty nifty idea. Besides the fact that it just looks cool, having an e-ink screen on the back of your phone makes quite a bit of sense. The screen on the back is the same kind of screen you would find on a kindle reader. So anytime you need to peek at any of your notifications or email, you can use your second, less power-hungry, anti-glare screen. Hopefully they'll link up their screen with the iBook app in the future. During Apple's media event on Monday, HBO announced their much anticipated HBO Now service. HBO Now differs from HBO GO in that you no longer need a cable subscription/service to access insanely good content from HBO like Game of Thrones (pictured above) and True Detective (the two best shows on television hands down). Beforehand, you had to currently have (or know somebody who had) HBO via a cable provider(Comcast, ATT, Time Warner, etc.) to use the HBO GO app on your mobile device, AppleTV, etc. Now, as in HBO Now(bazinga), you simply need to pay $15/month and have an internet connection to watch some of the best that TV has to offer (did I mention Silicon Valley? No? Go watch Silicon Valley, it's from Mike "the-director-of-Office-Space" Judge... you're welcome). Some of us don't want seven hundred channels of crappity crap when we only watch ten. I don't need Forty digital music channels when I have Pandora/Spotify/iTunes Radio. So imagine if you could "cut the cord" to your cable provider and simply purchase those ten channels. I currently only have local over the air HD channels (for football and other various events) and subscriptions to Hulu+ and Netflix. I use Hulu as an online DVR on my TV (which is now $69 btw) to watch certain shows at my leisure. Add to those HBO Now and all of a sudden I'm never looking back at a $150+ cable bill from my cable provider. I will admit, $15 is a bit rich if you were to start seeing subscriptions for an AMC app, a Showtime App, an FX app, etc... they'd start adding up pretty quickly. I feel like this is absolutely a step in the right direction, the market will adjust itself and you'll start seeing these prices adjust accordingly. On top of that, you'll probably start seeing Cable provider prices start to drop. HBO Now will be available in early April (just in time for the new season of Game of Thrones). Apple Device Exclusive for 90 days. Must be activated via the HBO Now Apple app. #ProTip: Over the air (digital antenna) HD is usually a better picture quality than the compressed packet HD that comes in through from your cable provider.